Oh, how I remember the days of Nyquil, Theraflu, and Halls cough drops. Not only did they taste horrible, but they often times didn’t even help. As soon as winter would hit, I’d stock up on cold medications with the hopes that I would beat the inevitable in its tracks. Little did I know that the weather has nothing to do with causing a cold or flu. In fact, did you know that there are multiple studies that actually show that cold exposure increases your immunity? If you’re surrounded by sick people, sharing their air space, you run the risk of getting sick. Adults, on average, get four colds a year. If they’re smokers or spend a lot of time with small children…they’ll catch a cold/flu more often. Prevention is THE best treatment! Of course, your diet plays a big role, but by adding herbs and/or essential oils, you’ll greatly reduce your chances of getting sick. Antihistamines, decongestants, and other drugs (which are taken to heal or cure) actually produce worsening side effects…often times prolonging the very symptom you’re trying to get rid of. 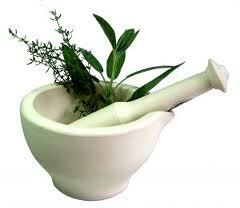 So lets take a look at some natural remedies…. Vitamin D….but NOT in pill form. The best way to absorb vitamin D is by getting some rays! Not all of us live in a warm sunny climate year round, so be sure to increase foods that contain vitamin D. Oh, and milk…not a good source of vitamin D….did you know that you would have to consume more than 12 gallons of milk (or non dairy milk) to achieve the amount your skin could absorb in 20 minutes!?! Another FYI, some mushrooms are considered a good source of vitamin D.
Kombucha – for those of you who are not familiar with Kombucha, it is a fermented tea (sometimes considered a food) that is rich in vitamins and minerals…which are essential to good health. The ancient Chinese called it the “Immortal Health Elixir.” Watch out for the brands that use added sugar or sweeteners – the best is GT’s Kombucha….which can be found at your local Whole Foods or natural food stores. Kombucha is an effective probiotic (beneficial bacteria), adaptogen (increases the body’s resistance to stress, trauma, anxiety, and fatigue), and metabolic balancer (helps your organs work together). I highly recommend adding Kombucha into your diet….I drink about 3 of them a week. Yerba Mate, Green Tea, Chamomile tea – not only are they loaded with antioxidants, but taste great with a touch of honey or fresh lemon juice! Load up on antioxidants – various berries, raw cacao, goji berries, acai, and veggies. Exercise (light to moderate) – studies have shown that intense exercise actually decreases the immune system temporarily. Avoid ALL processed foods and sweetened soft drinks!!! Echinacea – when taken as soon as symptoms appear, Echinacea can shorten the duration and lessen the severity of cold and flu symptoms. Echinacea is considered to be an immune stimulant. It appears to activate the body’s infection-fighting capacity. Many herbalists feel that liquid forms of Echinacea are more effective than tablets or capsules because they believe that part of Echinacea’s benefit is due to direct contact with the tonsils and other lymphatic tissues at the back of the throat. I have found that drinking Echinacea tea (mixed with a little lemon and ginger) helped me fight colds. Ginger – contains nearly a dozen antiviral compounds. Anti-inflammatory and analgesic, ginger also helps you cough up mucus and makes you feel warmer, which may help if you’re chilled. It’s been long time (knock on wood) since I’ve been sick, but in the past I have made ginger tea or simply simmered some water with chunks of ginger root. I was amazed with how fast I beat a cold. Some natural/health food stores carry herbs (fresh or in bulk), but you can also purchase them online from places such as Mountain Rose Herbs or Starwest Botanicals (both sell organic). These are effective as preventative aids in avoiding colds and also help the body defenses fight colds once an infection has started. Something I’ve learned from my cousin (Miranda)….when you feel a sore throat coming on, put a couple drops each of Peppermint and Thieves essential oils into a glass of spring water. This little remedy will pretty much stop the cold dead in its tracks. I also love taking hot Peppermint oil baths (approx 8-10 drops). It provides a cooling sensation and clears up the nasal congestion…making it easier to breathe. 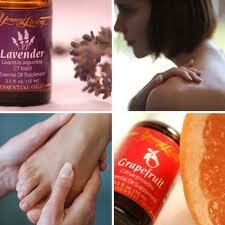 When I go to bed at night I rub either Peppermint oil or M-Grain on my temples and/or wrists. ranked with an acid-binding value of 27.81(one of the highest ratings of any food) in Ragnar Berg’s Table in the book Mucusless Diet Healing System. 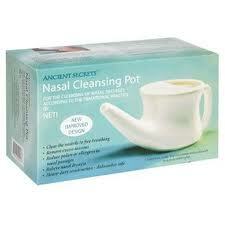 One last recommendation….get yourself a Neti Pot! For those of you who aren’t familiar with this, it’s a pot (kind of reminds me of a genie bottle crossed with a tea-pot) that is used to irrigate/cleanse your nasal passages. It works wonders to relieve sinus pain and allergy symptoms. I admit, I was a bit leery at first, but once I got the hang of it, I’ve never been able to breathe easier! It flushes out dust particles and mucus. I purchased mine at Whole Foods a few years ago, but I think you can purchase them at your local drugstore as well. Pingback: Cold and Flu Remedies (via Holy Shilajit) « Jenn's Adventures. ..